The BEST Geek Radio Show! 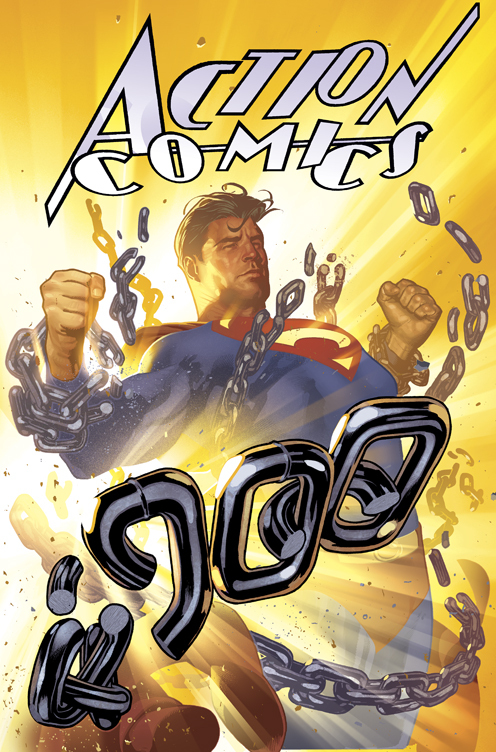 Action Comics #900 begs the question “Will Donald Trump ask for Superman’s birth certificate?” Also tons of ‘Nerd News’, ‘Trailer Mania’ and Stan Lee drops by The Action Room with his new BFF, ‘The Governator’ Schwarzenegger! This entry was posted on May 2, 2011 at 8:00 am and is filed under Uncategorized. You can follow any responses to this entry through the RSS 2.0 feed. You can leave a response, or trackback from your own site. I am glad you touched on the Friendster thing, but you said Facebook, Myspace and Friendster were really the only big ones, but I would add LiveJournal to that (and I expect others). I am not a Facebook member. I have so many friends that are, and my school friends are all using it to reconnect instead of Memory Lane (formerly Classmates). And as a former MySpace and LiveJournal guy, I am really kind of ticked off that Facebook has gotten to be “The Thing.” It is spoken of as an original idea (based on the film and standard media coverage). Btw my status as “former” comes as a choice to step back after a personal tragedy, and has nothing to do with boredom or displeasure with the sites. But IMO these other sites were not only doing for years what Facebook started doing in recent years, but had done it better and/or with more features. Oh, and I’m sure a million listeners (the figurative million) would correct you, but at 43 1/2 years old,* in order to retain my geek status I need to say “Return of the Jedi was Blue Harvest.” And I know that I’m supposed to call you a name also to be authentic. It was one of the last films I stayed in line all night to see (“Return of the Ewoks” and “Temple of Dumb” ended my innocence, I suppose). *Usually, I just say “I’m this many” and hold up 43 1/2 fingers. And what are the broken chain links spelling out just before the 900? It almost looks like ’04. What is that? On the X-Men First Class – the plot feels like something from a standard TV series. No real threat. Of course they’ll succeed. Unless they are going to create an alternate timeline (but that would be far too radical and creative). Thanks for another “really great shoe.” Lauren’s Cher gave me shills.